A one-stop stomp box solution? 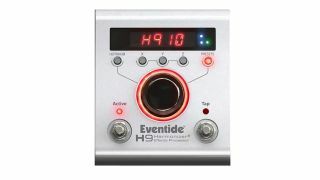 NAMM 2013: Eventide's H9 Harmniser has made its debut in Anaheim. For more information, visit the official Eventide website. H9 will be available in March of 2013 through authorized Eventide stompbox dealers.